Well, the holidays are upon us at last. And while I’m looking forward to another day or two of full-blown Christmas cheer, there’s a part of me that is already longing for that post-holiday exhalation that every parent of small children knows. I’m eating too much, sleeping too little, and I’ve got Rankin-Bass TV Christmas Specials coming out my ears. It will be nice to collapse on the couch tomorrow night and watch something normal for a change. For Mrs. DeMarest and me, this probably means working our way back through Season 1 of Downton Abbey on PBS. Yes, go ahead and make fun. I’ll just say my wife is a very lucky woman. 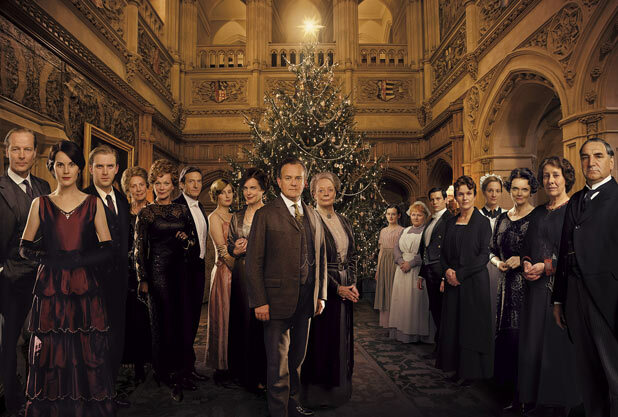 I have an amazing tolerance for chick-flicks in general, and an undeniable affinity for well-done series like Downton Abbey. Then again, who doesn’t love a little English Manor intrigue? "Evelyn Waugh came to regret Brideshead Revisited… That his novel would still be popular more than half a century later would have surprised Waugh. He would be even more surprised to find that novels with an English country house setting are among the most acclaimed written in recent years, among them Kazuo Ishiguro's The Remains of the Day (1989), Ian McEwan's Atonement (2001) and Sarah Waters's The Little Stranger (2009). Next month brings another notable addition to the genre, Alan Hollinghurst's compelling new novel The Stranger's Child, set partly in a 3,000-acre estate called Corley Court. All these are historical novels, set at different points of the last century, with Hollinghurst's spanning 95 years and concluding in 2008. Like Waugh's novel, they're also revealing about present-day preoccupations. And what they confirm is the continuing attraction of the English country house to the literary imagination. There are plenty more, to be sure. What other books bring the English country house to life for you? Share your favorites in the comments.